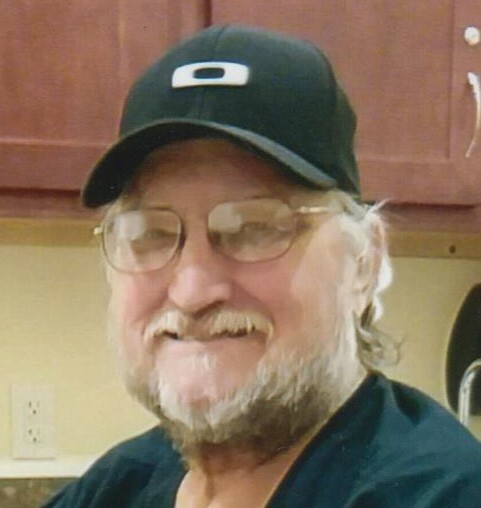 Robert W. Starling Jr. (Big Bob), 60, of Choctaw Beach, Florida, passed away peacefully on Monday, November 19, 2018 surrounded by his loving family. Bob was a wonderful husband, father, son, brother, co-worker, friend, neighbor and teammate. He was truly a gentle giant with a gruff exterior and a tender interior. Bob was born on May 19, 1958 in Middlebury, Vermont. This was where his parents grew up, met, married and started their family before moving around the country to support his Dad’s military career. The family moved to Eglin AFB in the early 70’s when his father retired. Bob was a man who loved his family. He is survived by his best friend and wife of 33 years, Rose R. (Humbert) Starling; daughter, Tiffaney Rose and son, Robert W. Starling III (Bear); his brother, Alan (AJ) Starling (Donna); his sister, Ayne Moore (Jeff) both of Niceville, FL; his In-laws David Humbert (Angela) and Steve Humbert (Marie) and numerous nieces and nephews. In addition, he cherished his work family at Hodges Brothers Lumber who he considered part of his family. He was predeceased by his father, Robert W. Starling Sr., his mother, Joyce Ann (Menard) Starling and his father-in-law, Benny O. Humbert and mother-in-law, Dorothy L. Humbert- Bolding. Bob graduated from Niceville High School in 1976 and received a full scholarship to play football at East Tennessee State University (ETSU). Bob returned home after a year and worked as a very talented automobile mechanic and then started building seawalls and boat docks. In 1985 he joined the Hodges Brothers Lumber family and continued to work there for 33 years. His career with Hodges started by driving a truck that many recognized by the “Big Bob” painted on the side. He knew every great BBQ and lunch place for many miles and he always had a story to share. For the last several years he worked in the front office where he gained so many friends. Bob touched and blessed the lives of many who knew him. He loved his family, friends and work family. He loved to be at home and was happy to live a quiet and simple life. Those that truly knew Bob knew that he loved to cook and it was one of his passions. He was also someone who could fix anything and had a quick sense of humor with his family and close friends – he will be missed. He leaves a beautiful legacy to his family. We would like to thank all the friends and family that helped Bob through this difficult journey with special thanks to Hodges Brothers Lumber for being so much more than a place of employment – you truly were family. Also, thank you to Sacred Heart Hospital and staff for the compassionate care and excellent treatment. Bob’s wish was for his family and friends to gather to celebrate his life. His family will welcome visitors to their home at 277 Juniper Dr. Freeport, FL (Choctaw Beach) on Saturday, December 1, 2018 between 1pm and 7pm. In lieu of flowers, Bob asked that you consider a donation to the American Cancer Society (ACS) or charity of your choice.